These are just a few of the rules about eating that many people learn as children. And for the most part, they work pretty well — for kids. Choose whole grains over processed white flour. Eat about a gram of protein per pound of body weight each day. Fact: It is true that older adults typically need fewer calories than young adults. However, older adults actually need more of certain nutrients, including vitamin D and B12. This is because the body’s ability to produce vitamin D from sunlight decreases significantly over time. In addition, the body’s ability to absorb B12 also declines. So while seniors may need fewer calories and less of certain nutrients, they also need more vitamin D and B12. Fact: Excess weight and obesity is a serious health concern for all Americans — including older folks. Being overweight not only makes you less likely to enjoy an active and energetic quality of life, it also raises your likelihood of developing a range of chronic illnesses including heart disease and type 2 diabetes. Fact: Even though many senior citizens experience a loss of appetite, it’s not a good idea to skip meals. Skipping meals comes with its own set of problems, including causing blood sugar levels to fall too low due to a lack of nutrients or shoot to dangerously high levels when you finally do eat. Forgoing meals can also paradoxically cause your lack of appetite to increase. So the best thing to do is to eat something nutritious — even just a little something — at every meal. Fact: People need to drink water before they feel thirsty to avoid dehydration, which can be extremely dangerous for seniors. Dehydration can be caused by medications, a lack of thirst (which is common in older adults) and decreased kidney function. If it happens to you, you could suffer from confusion, difficulty walking, a rapid heart rate, low blood pressure and other health problems. Fact: It’s never too late for anyone to start eating healthier. No matter your age, you can reap the benefits of eating plenty of fruits, vegetables, the right amount of protein and lots of water. Just as for younger adults, the better you eat, the better you’re likely to feel. Even if you have already developed nutrition-related health issues such as diabetes or cardiovascular disease, you can still improve your quality of life and reduce the symptoms by eating right. Fact: People should not live off of vitamins and supplements alone. And even if you could, what kind of life would it be? People who rely entirely on supplements often experience side effects including constipation, diarrhea and even malnutrition. Plus, relying too heavily on supplements for your nutrition means you’ll be more likely to miss out on one of life’s greatest pleasures: dining with friends and family. Fact: Many older adults who eat alone every day experience increased instances of loneliness, stress and anxiety. Older adults who eat alone are also less likely to eat healthy, balanced meals, a UK study found. Older adults who eat alone miss out on all of the camaraderie and conversation that takes place around the table when people are sharing a meal with friends, family and other loved ones. New Yorkers are trying to have legislation passed that would help bring in a start to urban farming to New York City. Local Brooklyn resident Adam talks about the importance of food production change and how vertical farming would help the community as well as expand healthy food availability to the crowded city. Below is an excerpt on why New York needs this change and how it can benefit communities across the United States. If a tree grows in Brooklyn, so too can a cherry or a cucumber. Now imagine a crop large enough to feed our entire city. When New Yorkers go to their local grocer or supermarket, we often see produce imported from other states or countries. There is no reason why the majority of our natural food products cannot be grown and sold right here in the Big Apple. For an urban center as large as New York City, we must be prepared for the challenges of climate change, greenhouse gas emissions, a changing ecological system, and the need to supply healthy food to an ever-growing population. At the same time, we face a crisis of diabetes, heart disease, and obesity of epidemic proportions. The growing urban agriculture movement around the world, estimated at between 15% and 20% of global agricultural output, has the substantial potential to revolutionize our city’s food system and turn a page on protecting our health and environment while bolstering the economy. We have the ingenuity at hand to take advantage of the plentiful space in the five boroughs, to make this 21st century dream a reality. New York City has rehabilitated unused space before, most famously with the High Line. Our city has 14,000 acres of unused rooftop space, and there are more than 45,000 square feet of publicly owned land in East New York alone. With the use of smart, cutting-edge technology, we would be able to grow enough to feed as many as 20 million people in the metropolitan area. 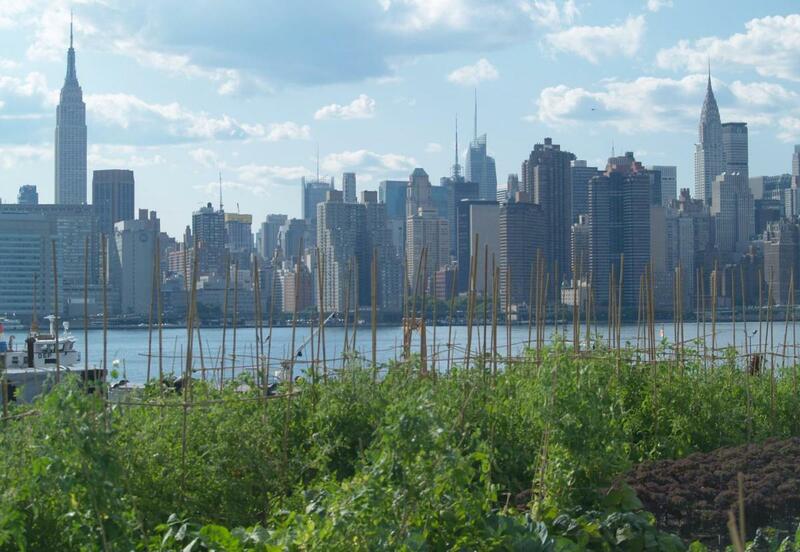 As New Yorkers, we need to think boldly about the many benefits of expanding urban agriculture. Cities contribute to 70% of the world’s global greenhouse gases, and a City Hall analysis from last year found transportation accounts for nearly 30% of our own output. Local food production means less trucking required to go in and out of our neighborhoods, reducing the amount of carbon emissions pumped into our city as well as relieving stress on our highways. Green roofs and gardens used to grow produce pump oxygen into the air and cool down our environment, while playing a major role in reducing the runoff and flooding that heavy downpours create. 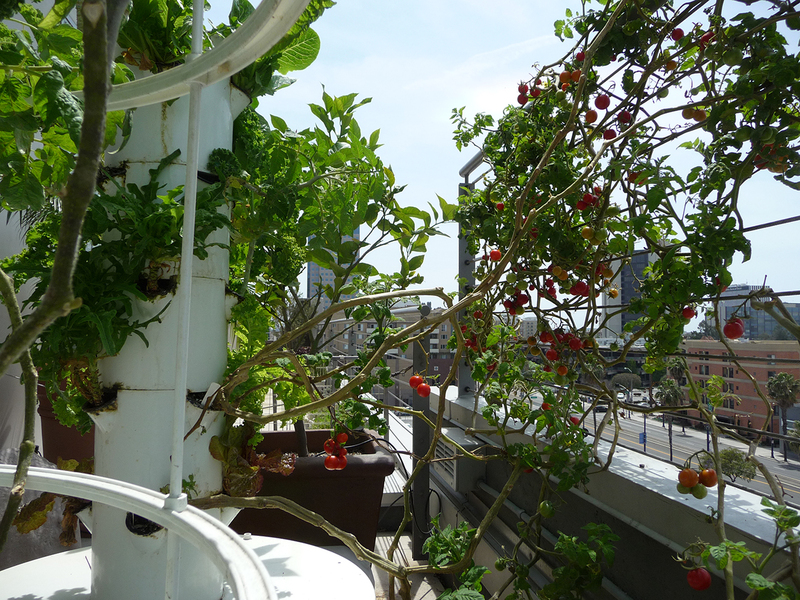 Our environmental future is at stake, and urban farming helps us grow a more sustainable and resilient city. In Brooklyn, food insecurity and poverty are compounded to create an economic and health crisis. A 2016 report by FoodBankNYC showed Kings County has a food insecurity rate of 20 percent, the only borough with a rising trend since 2009. Lacking basic healthy food access contributes to high levels of preventable diseases such as diabetes, heart disease, and obesity. African-American and Latino communities across central and eastern Brooklyn are twice as likely to suffer from these debilitating and deadly diseases. There’s even a condition known as Flatbush diabetes; that says it all. Urban farming is the key to solving this problem, creating mixed-use neighborhoods where this kind of horticultural industry could thrive. The aquaponics market alone is expected to expand over the next five years at an annual rate of 14.3%, generating a value of more than $900 million by 2021. Thinking beyond the traditional expansive farms of America’s heartland, the technology exists to grow crops and careers on unused spaces in the heart of New York City. Think of the broad potential. We can even establish high-yield farms on our many public housing developments, creating jobs in communities plagued with chronic unemployment, educating a new generation in healthy living, and providing access to fresh foods right at residents’ doorsteps. The buds of this revolution are growing, but commercial and industrial scale urban farming is tangled in the weeds of bureaucratic uncertainty, making implementation that much more difficult. While scientists and agro-experts have done their jobs of innovating, government has not caught up. Sophisticated vertical farming operations can be more efficient and profitable, but our zoning laws leave open many questions as to where these businesses can operate. For example, current regulations prohibit growing and selling produce on the same lot regardless of what the lot is zoned. In fact, the zoning text only mentions the word “agriculture” on a handful of its nearly 4,000 pages, thereby making this practice permissive but vague at best. This uncertainty stifles growth. That is why we are proud to introduce City Council legislation that would rationalize this industry through the creation of a comprehensive urban agriculture plan in New York City. Our legislation would catalogue existing and potential growing spaces, classify and prioritize uses, identify potential land use policies that would favor expanding agricultural uses, as well as expand the availability of healthy food in low-income neighborhoods by integrating this practice across the city’s conservation and resiliency plans. This plan is the seed to robust growth. Let’s cultivate a multi-million dollar industry here in New York City with a harvest of economic, environmental, and health benefits that we can all share. The Cannery shows how all the pieces can fit together within a project that checks off many New Urbanist boxes. There’s a small retail/commercial center, and residents can walk or bike to downtown Davis, which is about a mile away. Only a third of the housing will be single-family homes; a range of townhouses, condominiums, and apartments should attract a multi-age community. The density of 5.5 units per acre (or 8.6, minus the farmland and parks) is higher than the 3 to 4 units per acre of traditional suburbs—although only slightly. The townhouses are selling for upwards of $400,000 and the single-family homes for $700,000 and up; agriburbia doesn’t come cheap. But with 60 units of affordable housing, the development will have some economic diversity. 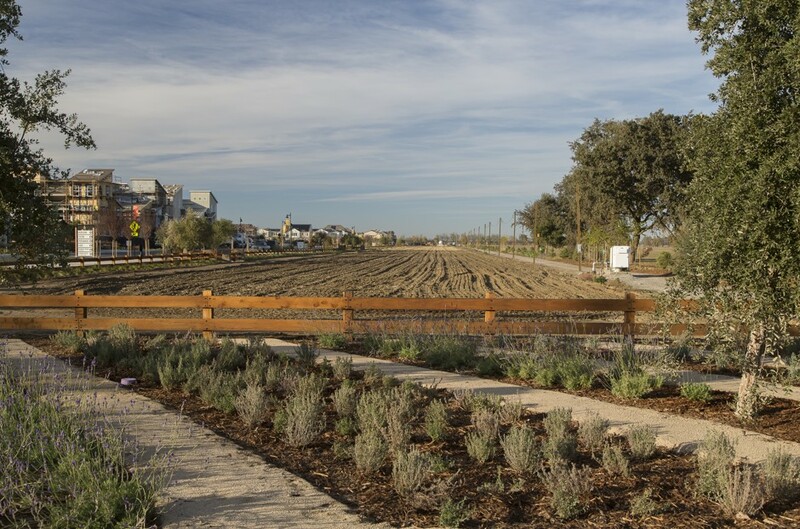 For planners and land conservationists, agrihoods can be a useful tool for preserving existing farmland. Earlier communities, like Prairie Crossing in Illinois and South Village in Vermont, were established to ward off wholesale development. “Planned developments are a zoning tool that is well-suited to development-supported agriculture, since they allow for effective master planning and combinations of diverse land uses that are difficult to achieve with traditional, Euclidean-style zoning,” says Jennifer Henaghan, deputy research director at the American Planning Association. 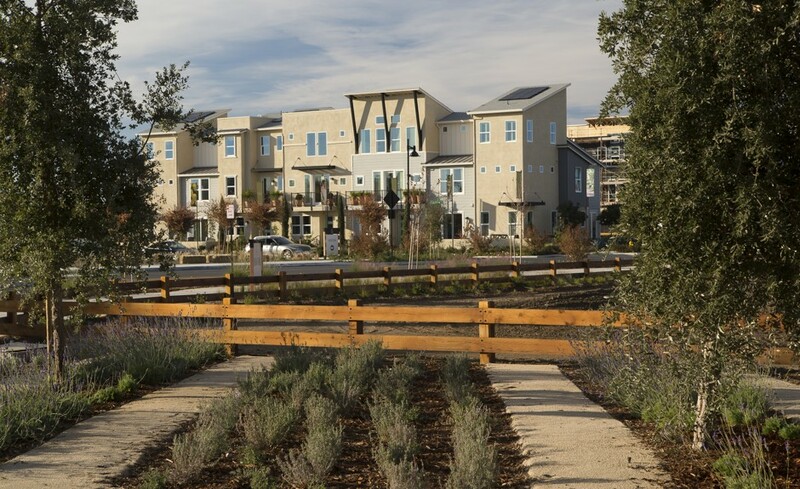 The Cannery was just named “master-planned community of the year” by the National Association of Home Builders. The Cannery had open fields along its eastern border, so was required to have a buffer. The developer could have put in landscaping, but opted to create a narrow farm instead. Ensuring the long-term sustainability of the farm is an important part of the puzzle. Some agrihoods have long-term leases with commercial farmers. Another model is to set up “incubator” farms that allow new farmers to launch their careers on a small scale. The Cannery’s farm is under the stewardship of the Center for Land-Based Learning, a local nonprofit that trains farmers. It will lease the land to its recent graduates. The Canals of Paris are Swimmable Again! 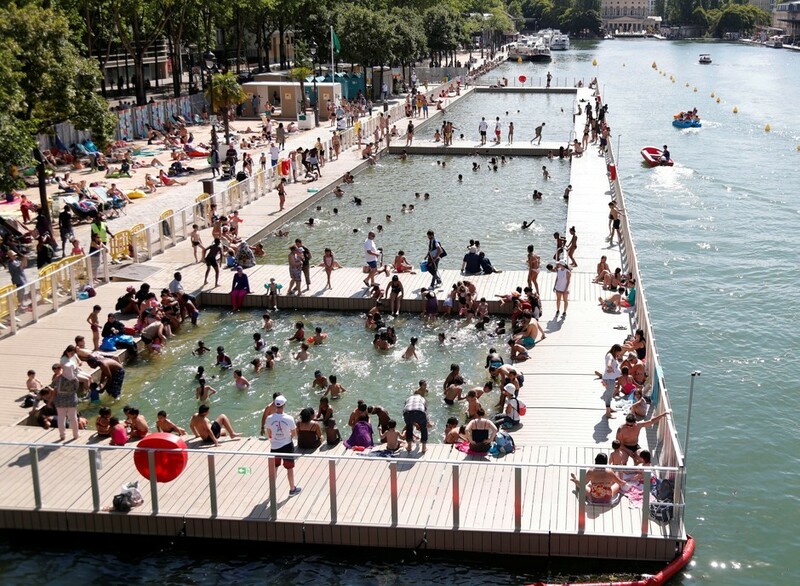 This past month, Paris has opened up its urban waterways for safe, clean public swimming. Paris’s Mayor Anne Hidalgo opened-up new open-air swimming enclosure in the Bassin de la Villette, a basin constructed for barges that links the Canal de l’Ourcq with the Canal Saint-Martin in the city’s inner northeast. In temperatures of over 90 degrees Fahrenheit, Parisians lined up to splash about the three new pools fed directly from the canal’s waters, separated from the watercourse’s general flow only by filter meshes to keep leaves and other objects out. Paris has been working on cleaning up the waters here for decades. Paris’s canals here were once unsurprisingly filthy, running as they do through a former industrial area once packed with cargo barges and polluted by sewage. Since the 1980s, however, regulations managing industrial run-off have tightened substantially, while Paris has invested heavily in wastewater treatment and in preventing sewage from being discharged into the canal during periods of high water. Two years ago, following a concerted clean-up, bacteria levels dropped below safe levels, and rogue bathers have been jumping in the water here for a while. Meanwhile, the Canal Saint Martin, which runs downstream from the basin down to the Seine, was entirely drained and cleaned in 2016, a process that sent a powerful visual message to Parisians that the area’s historic filth was being swept away. It’s no mean feat to ensure that waters like these running through the heart of a megacity of 12 million people are clean enough to swim in. Paris has declared it won’t stop here: By 2024, it wants the Seine to be swimmable, as well as the Marne, the river that feeds into it via the city’s canals. https://farmurbana.com/wp-content/uploads/2018/05/NEW-FU-LOGO.png 0 0 RuthMegh https://farmurbana.com/wp-content/uploads/2018/05/NEW-FU-LOGO.png RuthMegh2017-08-15 05:49:192017-08-15 05:49:19The Canals of Paris are Swimmable Again!